The Music Educator Award is in its eighth year of recognizing outstanding achievements in LI music education. Port Jefferson, NY - March 7, 2013 - The Long Island Music Hall of Fame (LIMHoF) is proud to present the recipient of the 2013 Music Educator of Note award, Dr. Steven E. Schopp, and announce the search for candidates of the 2014 Music Educator’s Award. In its eighth year, the annual Music Educator Award recognizes outstanding achievement in Long Island music education. The Long Island Music Hall of Fame supports the idea that education is the key to the development of musicians and distinguishes the work of those who allow young people to explore their musical talents. The 2013 honoree, Dr. Steven E. Schopp, is one of the most influential people in the field of music education across Long Island, regionally and nationally. It is his belief that a fully-rounded education can only be complete with the inclusion of Music. This philosophy, along with his passion for music education, has impacted the lives of countless students and colleagues for decades. Schopp’s contributions to music education on Long Island began with his position as an elementary band director in the Syosset Schools in the late 1960’s and later as the district’s Chairperson for Music, a position he held from the early 1980’s until his retirement in 2004. “To be counted along with the previous recipients is humbling and a very special honor. I’ve been privileged to have the opportunity to work with the fine students and teachers in Long Island’s outstanding school music programs,” said Dr. Schopp. Throughout his career, Steve has volunteered an enormous and immeasurable number of hours of service to his profession. He was President of the Nassau Music Educators Association in 1978-79 and during that time made significant contributions to the NMEA All County Festivals. 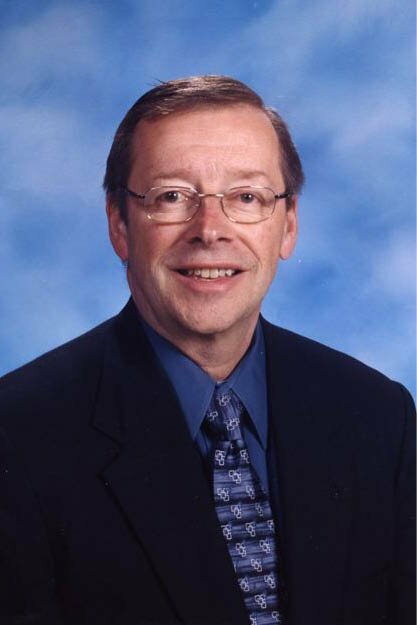 He held many positions with the New York State School Music Association (NYSSMA), including President from 1988-89 and later for many years as an Advisor to the association. He was elected to serve as the Eastern Division President of the Music Educators National Conference from 1994-95. In this capacity he served as a member of the association’s National Executive Board and during that time he established himself as one of the leading voices for music education in our country through his contributions to the development of National Standards for Arts Education. After his retirement from the Syosset Schools, Schopp completed a Doctorate in Music Education at Teachers College, Columbia University and he took a faculty position at his Alma Mater, Ithaca College, where he now supervises [took out “all the”] student teachers on Long Island. In 2006, Dr. Schopp was appointed to the position of Executive Director of NYSSMA where he continues to serve today. Additional, he serves the National Association for Music Education as the Chairperson of the National Council of State Executives and as a member of the associations National Assembly. Dr. Schopp is passionate about supporting school music programs throughout the state and nationally and he continues to be an outstanding leader in the field of music education. “During his long career in Syosset, Steve Schopp inspired thousands of students and served as a great mentor to his staff. His contributions to the music program in Syosset and to Music Education on Long Island and throughout the country are enormous and unprecedented” – Michael Salzman, Coordinator of Fine and Performing Arts, Syosset Central School District. LIMHOF Education Chairman, Tom Needham, stated, “The Long Island Music Hall of Fame recognizes the fact that there are few individuals, locally or nationally, that have contributed more to the field music education than Dr. Steven E. Schopp. He is a true legend whose work has positively impacted thousands Long Island students." LIMHoF is currently looking for music educators in that demonstrate a commitment to music education who are exceptionally dedicated, knowledgeable, skilled, and respected by students and colleagues. These individuals would play an active role in the community and have a significant impact on the lives of music students of all backgrounds and abilities. The Long Island Music Hall of Fame wants to hear about them. For more information and forms, go to the LIMHOF website. Applications must be postmarked by September 1, 2014. Past Music Educator of Note recipients includes, William Katz (2012), Robert W. Kreuger (2011), Laurence Ballereau (2010), Joseph R. Sugar (2009), John McNeur (2008), and Herbert Deutsch (2007). Long Island Music Hall of Fame (LIMHoF) is a 501(c)(3) museum organization dedicated to the idea that Long Island's musical heritage is an important resource to be celebrated and preserved for future generations. The organization defines Long Island geographically as Kings, Queens, Nassau and Suffolk counties. For more information about the Long Island Music Hall of Fame, please call 516-586-3433, or visit limusichalloffame.org. Subject: LongIsland.com - Your Name sent you Article details of "Long Island Music Hall of Fame Announces 2013 Music Educator of Note Honoree, Steven E. Schopp"